(Beyond Pesticides, March 4, 2019) Last week, U.S. Representative Earl Blumenauer (D-OR) reintroduced the Saving America’s Pollinators Act (H.R.1337) to cancel specific bee-toxic pesticides and establish a review and cancellation process for all pesticides that are potentially harmful to pollinators. The specific pesticides targeted in the bill include the systemic insecticides imidacloprid, clothianidin, thiamethoxam, dinotefuran, acetamiprid, sulfoxaflor, flupyradifurone, and fipronil. The bill also establishes requirements for review of other potentially bee-toxic chemicals by an independent pollinator protection board, and requires annual reports on the health and population status of pollinators. The bill creates a sustainable model for pollinator protection in the face of ongoing obstruction by an increasingly industry-influenced EPA. There are 29 cosponsors to date. 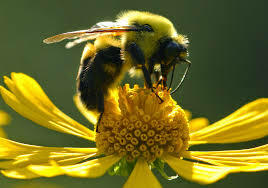 The current bill is the fifth version of Saving America’s Pollinators Act (SAPA), which was first introduced by U.S. Representative Conyers (D-MI) in 2013. The newest version differs from previous bills in its bold definition of who should have responsibility for assessing harm to pollinators. SAPA 2019 calls for the establishment of a Pollinator Protection Board, to be composed of expert scientists, beekeepers, farmers, members of environmental organizations and other key stakeholders, nearly all of whom must not have any conflict of interest or affiliation with industry. The Pollinator Protection Board would be charged with annual review of potentially bee-toxic pesticides, to ensure continued assessments the initial suspensions. Beyond Pesticides holds the position that such continuous oversight free from conflict of interest is necessary to adequately protect vital pollinators, especially in the face of worsening mass declines. The current SAPA creates a similar board structure and authorities to the Organic Foods Production Act. Numerous scientific studies implicate systemic insecticides as key contributors to the global decline of pollinator populations. Systemic insecticides have been found to weaken both behavioral and immune resistance to parasites, pathogens, and temperature stress in honey bees and native pollinators. Several independent studies of managed and wild bees in the field have shown significant colony and population declines as a direct result of neonicotinoid crop treatment (1, 2, 3). There is widespread consensus in the scientific community that systemic insecticides are responsible for pollinator declines and need to be restricted, as evidenced by a 2018 “Call to restrict neonicotinoids” published in Science and signed by 233 scientists. EPA scientists have found that neonicotinoids pose far-reaching risks to birds and aquatic invertebrates, in addition to pollinators. EPA’s risk assessments find deadly impacts to birds from neonicotinoid-treated seeds, poisoned insect prey, and contaminated grasses. University researchers have found that tiny amounts of neonicotinoids are enough to cause migrating songbirds to lose their sense of direction and become emaciated. A 2018 study by U.S. Geological Survey (USGS) researchers found neonics widespread in the Great Lakes at levels that harm aquatic insects—the foundation of healthy aquatic ecosystems. Human health is also at stake. A recent study by USGS and the University of Iowa found two metabolites of imidacloprid in drinking water that have never been evaluated for their potential risks to human and environmental health. Experts warn that these metabolites may morph further into new forms of chlorinated disinfection byproducts (DBPs) during routine water treatment processes, with potential for high toxicity to humans due to loss of insect-specificity. Canada’s pesticide regulatory agency recently proposed a phase-out of two widely used neonicotinoids, thiamethoxam and clothianidin, based on harms to bees and aquatic ecosystems. In 2018, Europe instituted a ban on neonicotinoids for outdoor use based on based on the General Court of the European Union’s 2018 ruling affirming their harms to pollinators. Rep. Blumenauer is offering a legislative remedy to address the U.S. pollinator crisis. But Congress won’t act unless members hear from their constituents. Read the latest draft of the bill to understand how the new act would transform pollinator protection in the U.S., and urge your representative to support the Saving America’s Pollinator Act 2019. With managed honey bee losses remaining at unsustainable levels and wild pollinators and insects of all taxa at risk of extinction, it is time for the U.S. to finally protect pollinators. This entry was posted on Monday, March 4th, 2019 at 12:00 am	and is filed under acetamiprid, Bayer, Biodiversity, Clothianidin, dinotefuron, Environmental Protection Agency (EPA), Fipronil, flupyradifurone, neonicotinoids, Sulfoxaflor, Take Action, Thiamethoxam, Uncategorized. You can follow any responses to this entry through the RSS 2.0 feed. You can skip to the end and leave a response. Pinging is currently not allowed.